crazy people!! !1000usd on ebay,just 3mp middle end camera for 1000bugs,never! Anonymous, 01 Jan 1970Yes,I agree. It will be more reliable also. I do not trust HTC made phones! what happened to SE? They can not even manufacture the flagship? YES too big (volume mm3) and TOOOOO thick! In 2009, a 17mm thick phone just too thick for me! If you like it, go ahead and get it! and your new one will drop 70% of its value! The best phone since k750, others just offer 5mp camera upgrade ,gps etc. But Xperia the real evolution in mobile phone history ! Innovation features list, too long! Die hard rivals , loosers ! Anonymous, 25 Oct 2008where is it available on carphonewarehouse? there is nothing on their we portal... At the mo... morein carfone is dummy model with pricing butwhen i aked women she shook her head and said it was not in their computer system yet..
Vodafone has a new catalogue in which i never new about as i get the one at beggining of each month,,apparently they release updated catalogues which i never new about,,anyway in it is silver xperia on prepay £500..
dan, 25 Oct 2008what a old phone! hahaOld phone, but in 20 years!!! 2028 yeah!! Ive got mine pre ordered from about 2 weeks ago on play.com! So excited about it coming although i pre ordered the silver one and it says a later launch date than the black. carphonewarehouse, 25 Oct 2008yes its now available from today no more waiting........where is it available on carphonewarehouse? It is now available at Carphone Warehouse. Dean, 25 Oct 2008Iphone: 115 x 61 x 11.6 mm vs Iphone 3G: 115.5 x 62.1 x 12.3 mm vs Xperia: 110.5 x 52.6 x 17 ... moreyes it is bigger than apple but it is better then apple bcoz apple bluetooth is handfree enable and have many options to convert text message to email and fwd it !!! come one we are in 21st centry people need comfort not size.!! Anonymous, 25 Oct 2008It is a lot bigger than the IPhone !!! :) and the IPhone has a lot bigger screen! ;) X1... moreAlso, keyboard is faster than touchscreen. 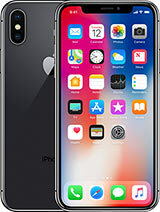 I work for carphonewarehose in fulham the speed of this phone is very good and better than iphone which is 3.2 only and this is very fast bcoz of 7.2 browser and the nine screen panel is very cool!!! 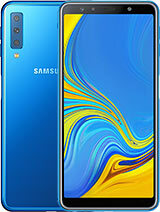 This is real phone had 1000 in stock yesterday in carphonewarehose now 57 left only wiyhout any advertisement and permotion alln handsets are gone!!! thats true .. I also checked that its about 650$ only..